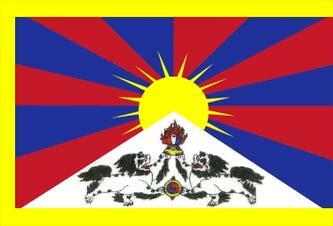 Continued crisis in Tibet today as Chinese authorities vowed to "resolutely crush" protests in Tibet. John McCain, presumptive Republican presidential nominee, called for Peking to find a peaceful solution and emphasized the importance of human rights among modern nations. Chinese are calling for friends, family and neighbors to turn in the 21 so-called "most wanted" activists. You can imagine the terror that has caused among ordinary people, who are torn between real personal love and fear of the state. I learned what years of living in this duality can do to people when I lived in Prague, Czech Republic: It leaves them vacant in appearance, with eyes that stare ahead at nothing, unable to bear the present moment. I saw countless men who were walking ghosts, many of them having their first beers at 7 a.m. and passed out by the afternoon and left on the streets. I would step over them on my way home to work. Germany has also called for China to ease its crackdown. China, meanwhile, has said it would now ban live broadcasts from Tiananmen Square, the site of a 1989 protest that ended tragically when protesters were gunned down. Networks planned to broadcast images of the square to show the new and improved China. Now, Chinese authorities fear anything that is not closely policed. Meanwhile, soldiers have fanned out across the country and are stationed in what can only be called a military invasion of the countryside and Tibet. It is useful during this crisis to remember His Holiness the Dalai Lama, who is unruffled, though unwavering. When journalists told him about the terms the Chinese called him (including "jackal"), he chuckled in his deeply warm manner and said that could not bother him, he was just a Buddhist monk.